London Business school offers a wide variety of programmes suitable for every career stage. The university’s programmes include top rated Master’s degree programmes which develop individuals as true global business leaders and highly ranked Executive programmes which attract students from all over the world. The Financial Times placed LBS ahead of Harvard and INSEAD and ranked it as 1st in Europe three times in a row in 2014, 2015, and 2016. London Business School is a combination of academic excellence with professionalism and modern and innovative teaching methods. LBS programmes cover a variety of subjects including finance, economics, strategy, marketing, and management and are taught by experts in the fields. What LBS offers is the diversity of students, international business knowledge, experience, and outstanding quality of student body. LBS graduates are among the world’s most employable. Top hiring firms along with McKinsey and Boston Consulting Group include Amazon, Bain, Google, and others. Do you have experience studying at London Business School? Please tell us your story! You can do this by leaving a review below. We cannot wait to hear all about it! 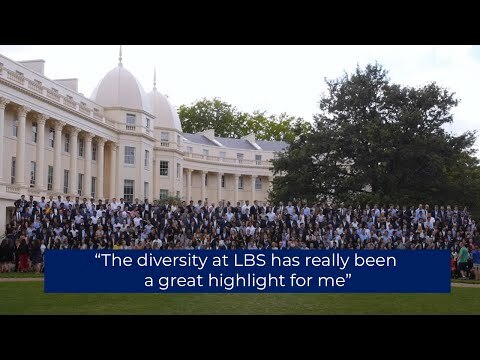 I cannot think of anything at LBS that does not exceed my expectations. I’ve been in the programme for half a year now and am confident to say that the school possesses first-class faculties, extremely supportive career services, and colourful student life for anyone who joins the community. I will always cherish my time here. If you're the owner or representative of London Business School - LBS, you can claim this University and build a better profile. Interested in studying at London Business School - LBS?